"The Witch" is an exploration of minimalist tenure, with devotion to bleak atmosphere, period setting, and quietly unsettling scenes that will drive a lot of audiences out of the door because it’s not making them jump. The Witch should be seen as a certain industrial point regarding horror fiction in cinema. By that, I mean that we’re now at a point where such a massive splurge of generic jump scare horrors have populated many mainstream multiplexes, that the whole idea of horror cannot be appreciated in an arthouse form by mass audiences. The Witch has been marketed as a terrifying, jump out of your skin 90 minutes where everything is thrown in your face with huge crashes, bangs and loud audio effects, which the people who flocked to see the likes of Sinister, Insidious, The Conjuring, Annabel, Paranormal Activity (the list could go on) now expect from any horror film. It isn’t that – it’s an exploration of minimalist tenure, with devotion to bleak atmosphere, period setting, and quietly unsettling scenes that will drive a lot of audiences out of the door because it doesn’t make them jump. 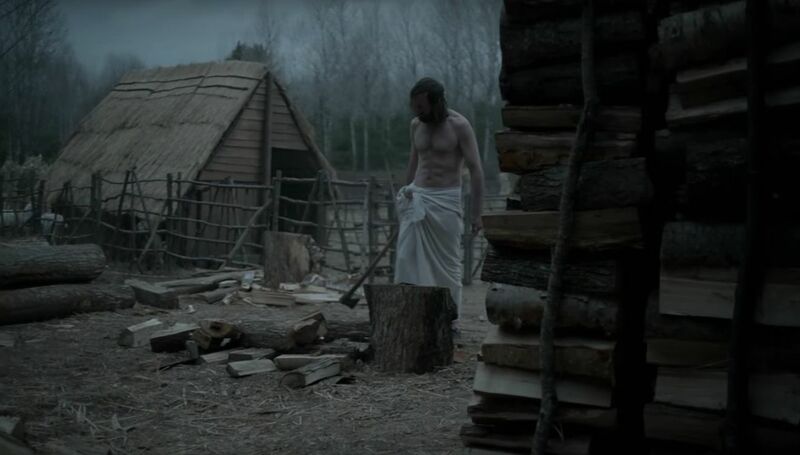 Set in the 17th century, William (Ralph Ineson) and his Puritan family are banished from a Christian plantation in New England, With his four children and pregnant wife, William heads off into the woods to build a new life. Months later their new child is kidnapped by a witch whilst playing with his older sister Thomasin (Anya Taylor-Joy). After this, the family begin to break down and grow suspicious of each other, all the while deeply fearing the nature of sin against their god. The Witch’s audience will be divisive because of the film’s commitment to the term “less is more” in regards to visual, jumpy horrors, with some critics and viewers possibly claiming that it isn’t even horror. Of course, it is, but it’s playing into the genre, and director Robert Eggers clearly is not interested in pandering to the quiet, quiet, bang conventional tropes. There’s a note at the end of the film that the story is based on folk tales of the 17th century Puritan family migrations, and that’s essentially what’s presented – a folk tale. It fully engulfs you into the beautifully bleak setting with a gothic-like atmosphere, presents you with a family tortured by fear of sin and the fear of their surroundings gradually breaking down, and lets you interpret it how you see fit. There are absolutely no jump scares in the film – maybe bar one or two revelations that were built up through the thick atmosphere – and it’s this build up where the film is at its strongest. The constant doubting of everything you’re presented with, the slow burning drama between family members, and then several bursts of shocking imagery. The fact that there are few moments of shock elevates their power when displayed. The score has the effect of softly scraping nails on a chalk board – minimalist, scratchy, eerie, picking away at the edges of the drama rather than engulfing it. Over half of the film is set in the dead of night with the flickering of candles, and that combined with the score does wonders for an unsettling experience. The most powerful ‘under-your-skin’ moment comes with the depiction of the witch – if there even is a witch, which is for you to interpret – and the use of forest animals, which do not fling themselves at the screen, but quietly sit there, brooding, allowing your fear to increase. The Witch will certainly divide audiences – there will be die hard horror fans who will find rich rewards in its aesthetics, and there will be audiences going in waiting for the mainstream conventions of deformed faces, silence and bangs, and creaking floorboards. It’s playing around with the setting and developing a severe sense of dread, steering away from former spiritual horrors to make something different that still works within the genre. A lot of people won’t like that and will be misled by the marketing – though in all honesty, it’s hard to market a film like this as anything but an all-out horrifying scare fest and still get the audiences into the cinema to see it. However, if you go in not expecting wall-to-wall jumps, there’s plenty to take away from it.